Achieve cost-effective printing at high volumes. Refill with ease using the no-squeeze, mess-free bottles and benefit from high yields of up to 18,000 black pages from 3 black ink bottles* for smooth production, uncompromised quality and a low cost-per-page. Enjoy high yields of up to 18,000 pages from 3 black ink bottles* and a low cost-per-page from the refillable ink tank. Top up with affordable, mess-free ink bottles. Print with fewer interruptions with the large 350-sheet plain paper capacity, split between the 250-sheet front cassette and 100-sheet rear feed, and save paper with auto 2-sided printing. 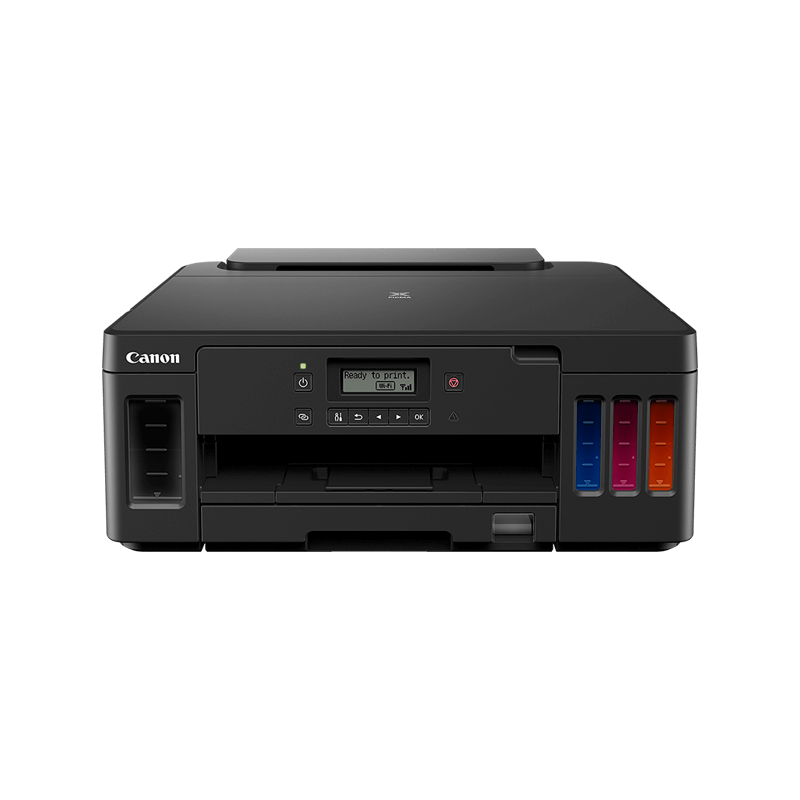 Print wirelessly and from popular clouds such as GoogleDrive and Dropbox via the Canon PRINT app (iOS and Android) for easy control. For high-speed local connections, use the Ethernet link. Stay professional with sharp document text from the pigment black ink and keep up productivity with fast print speeds of up to 13 ipm mono**. 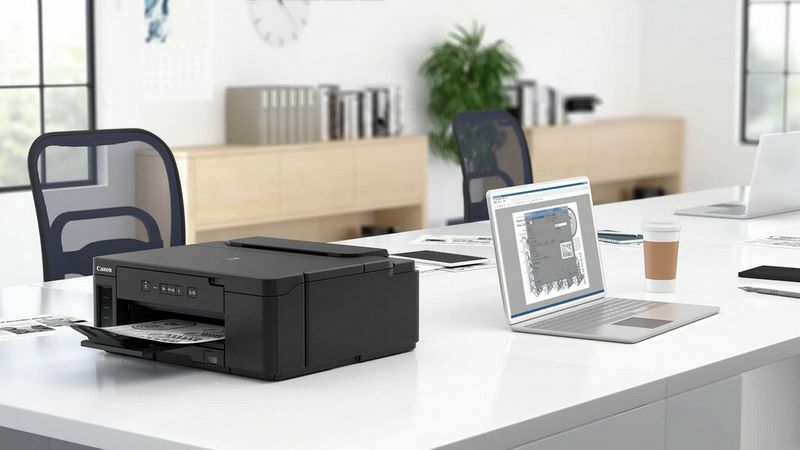 Keep your business printers running smoothly and keep an eye on ink levels, print usage and status with remote printer monitoring thanks to Management Information Base (MIB). All the tools you need to start high-volume black and white printing at a low running cost.